At $2.54, the national gas price average is the cheapest pump price seen this February. The national gas price average for the month of February is $2.56, which is 29-cents more expensive than the $2.28 average of February 2017. 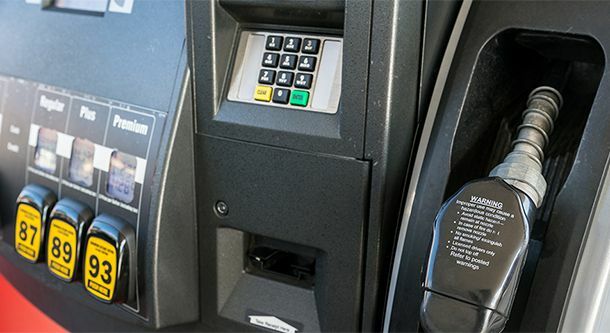 “Gas prices continue to trend cheaper for the majority of New England motorists as demand for consumer gasoline declines for a second week,” said Dan Goodman, manager of public affairs for AAA Northern New England. Vermont’s average current price is $2.60 per gallon, which is 2 cents lower than one week ago, and 30 cents higher than one year ago. New Hampshire’s average current price is $2.49 per gallon, which is 1 cent lower than one week ago and 28 cents higher than one year ago. Maine’s current price is $2.56 per gallon, which is the same price as one week ago and 25 cents higher than one year ago. “There is tremendous volatility in the oil and gasoline market. Crude oil is selling at high prices compared to previous years and domestic gasoline demand has been high most of the winter among the factors all driving gas prices up and draining consumers’ wallets. This spring, consumers may have to make decisions on where they can cut costs to cover gas prices that are potentially 40-cents more per gallon than last spring,” continued Goodman. Oil prices are likely to continue rebounding after the EIA’s latest petroleum report revealed that U.S. crude inventories unexpectedly fell by 1.6 million barrels. The drop gave some market observers hope that global demand growth this year may help drain global inventories further, even with U.S. production continuing to grow.